In one of the great tragedies of our age, indigenous traditions, stories, cultures and knowledge are winking out across the world. Whole languages and mythologies are vanishing, and in some cases even entire indigenous groups are falling into extinction. This is what makes the news that a tribe in the Amazon—the Matsés peoples of Brazil and Peru—have created a 500-page encyclopedia of their traditional medicine all the more remarkable. The encyclopedia, compiled by five shamans with assistance from conservation group Acaté, details every plant used by Matsés medicine to cure a massive variety of ailments. "The [Matsés Traditional Medicine Encyclopedia] marks the first time shamans of an Amazonian tribe have created a full and complete transcription of their medicinal knowledge written in their own language and words," Christopher Herndon, president and co-founder of Acaté, told Mongabay in an interview . 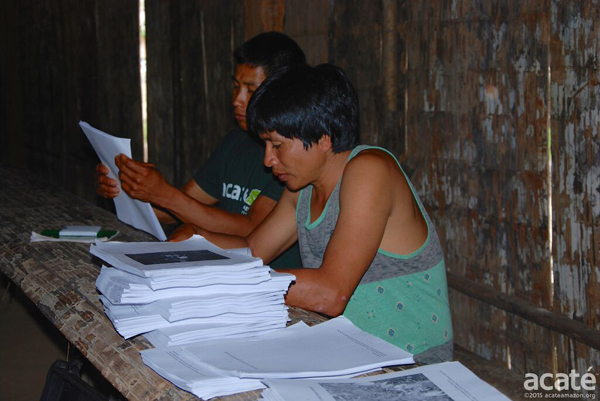 The Matsés have only printed their encyclopedia in their native language to ensure that the medicinal knowledge is not stolen by corporations or researchers as has happened in the past. Instead, the encyclopedia is meant as a guide for training new, young shamans in the tradition and recording the living shamans' knowledge before they pass. 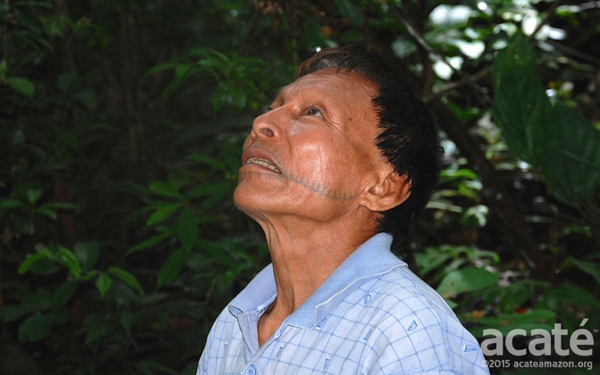 "One of the most renowned elder Matsés healers died before his knowledge could be passed on so the time was now. 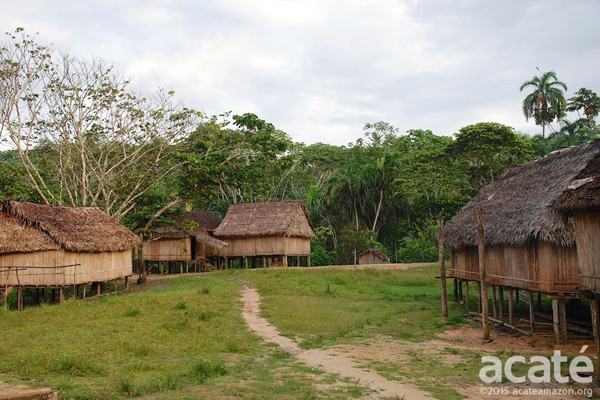 Acaté and the Matsés leadership decided to prioritize the Encyclopedia before more of the elders were lost and their ancestral knowledge taken with them," said Herndon. "With the medicinal plant knowledge disappearing fast among most indigenous groups and no one to write it down, the true losers in the end are tragically the indigenous stakeholders themselves," said Herndon. "The methodology developed by the Matsés and Acaté can be a template for other indigenous cultures to safeguard their ancestral knowledge." Responses to "Amazon tribe creates 500-page traditional medicine encyclopedia"
God bless you for your courage and wisdom. Thank you on behalf of all humanity!!! I would like to review this document. Where can we find it? Please let me know where to buy it when it is published. Thank you! Yes, please. I want the encyclopedia. Thank you! Much respects and salutions for your awesome endeavours to preserve your ancestral tribal and ecological healing knowledge. Perhaps we find the key to cancer cure !! We hope to learn more about this literary treasure of natural medicine once it is completed. Wants this book also to most especially carry on this tradition, to share and save this knowledge. I study many things and though I am not a Shaman from the deepest forest, I am always open to learn and study with spirit and physical people. Thank you, please do let us all know when or where we can get this document. i pray for those to come forward to help protect this knowledge from those who would use it for their profit only. protect it from those who would make it unlawful for anyone else to use this knowledge. protect it from those who would alter this knowledge to make it different that what the elders and ancestors dictate. to protect it from those who would synthysize the knowledge and withold it from those who need it by charging unaffordable monies. protect it from those who would change the knowledge in any way to do harm. protect the land from those who would destroy it. protect it from those who do not understand, who would hide the knowledge to protect what they already have. come forward please if you can help...we are grateful and give thanks that this knowledge is being preserved. Thank you for this tremendous contribution to humanity, This is such an integral part of who we are and it is so very important to maintain our integrity with the rainbow people. Anything that I can do, assist in any way, please let me know. I strongly believe in what you are doing. Thank you for inspiring me and making my day! Is a copy of the document available for personal use and teaching if a donation towards it's preservation is made? Whatever made us apparently made medicines for us too, too bad we no longer overall embrace these more gentle medicines as much today. It is wonderful to hear that this is occurring, just hope big pharma doesn't grab the seeds and GMO them. Thank you for the world ! Well, my friend, that's really valuable and wonderful. I'm a phytotherapist myself, and I take no payment from those who request my knowledge. I keep studying and looking for answers all the time. I would like you to consider the following: so many people around the world would benefit from this precious knowledge. So, if they can't travel to the Brazil or any wise medicine man/woman doesn't move elsewhere in the world, what can people do to heal themselves? It would be a gift to the Humanity if you could publish it. With all respect. Happy New Year! No, no, never free. We do not have the right to request it. As an Indian descendant, we receive the knowledge when we show respect for our ancestors knowledge, and we show good intention to use it for the benefit of the people. I am not Matsés, but I love the idea. I wish I have one book from our ancestors because we forget the teaching and the portions. Thank you to the Matsés Shamans for sharing your knowledge and experience with your young descendants. Many Blessing you will receive from God, the Earth and Universe. The Matsés peoples of Brazil and Peru—have created a 500-page encyclopedia of their traditional medicine compiled by five shamans with assistance from conservation group Acaté, details every plant used by Matsés medicine to cure a massive variety of ailments. Unfortunately the Matsés have only printed their encyclopedia in their native language to ensure that the medicinal knowledge is not stolen by corporations or researchers as has happened in the past. Instead, the encyclopedia is meant as a guide for training new, young shamans in the tradition and recording the living shamans' knowledge before they pass.I imagine the corporations will eventually find a way around this. I would prefer that the Acate group help the tribe achieve remuneration but help ensure that all people can benefit from any useful medicines. I could be tottally wrong and ignorent but, this is what I think in my words. have an origin. Respect in Latin respectus, from the verb respicere ‘look back at. The "civilized" way of living was worked out by for a better word the 1% er's. way of corruption, and life isn't fair but, everyone has one. Respect others, Please. I am so grateful for this work. We need more of this kind of work in the world, respecting indigenous cultures, knowledge and languages. Thank you very much for this contribution to human knowledge and for the respect of indigenous human cultures and societies. The only way to protect this knowledge is to get it out. To everyone. It is important to maintain certain traditional knowledge. This is the wealth of a culture, and is an expression of our common humanity. It should be respected, and any dissemination be voluntary. For when it can provide benefits to humanity(, and free from corporate theft). Cant anyone read past the title? If you read thru the post you would know what this is really about, please read it all!!! I commend the elders for sharing their knowledge and for the tribes commitment to self preservation. I pray that they hold their knowledge and traditions within their own communities I have long believed in the work of indigenous peoples and I get sick every single time I see someone take the knowledge, twist it for profit and gentrify what had never belonged to them. It is the most disrespectful gesture that can be shown to a people. So to the benefactors there in Brazil and Peru treasure this keepsake and guard as the ancestors would have you to do. You want to buy a copy! Oh heck no!you only want this for big profits and/or your own use. I read the commit from a Doctor that he wants to buy. I would love to buy a copy, also. They cured my cancer and more! In the deep jungles of Ecuador! I would like a copy of this particular book. Where can I obtain a copy? Even if these documents were able to be purchased, we would still probably not have access to the plants or the seeds. This is a wonderful thing these people are doing and if they choose to keep this information in their own society that is their right, I believe. Amazing!... and ever so precious. Brilliant. Let us **all be the Guardians of the Knowledge, on plants, wisdom, ancient teachings... we are the new Guardians! I am so grateful this knowledge has been preserved even though I can't read it. The world is sinking into an abyss of ignorance and this book shall save many from doom. is the encyclopedia available for purchase? Amazing!Thank you for the world! Seems like everybody wants a gimme and pretend they do not want to steal it. It is in their own language for their people. When and if they choose to share it is on their terms not ours or anybody else. Respect . I would love to learn the traditional medicinal ways. I would treat them with respect and honour those that have gone before. I would definitely want to have a copy!!! Today Antonia and I find ourselves in the lungs of the earth here in Tarapota Peru. Our small lungs breath a sigh of relief in knowing we know more and more how we breath same air and have to protect our one atmosphere from burning our lungs. Just put it out and then we all can breath a sigh of relief in unison with all creation beating to the one song spoken of by Pierre Teilhard de Chardin. This could be wonderful news. Lets keep it away from big pharmaceutical corp. Lets also stop depleting the rain forest so these wonderful God given plants are no longer in existence. My Great Grandmother was a medicine woman from the Northern sister tribe of Saginaw/Chippewa. She left Earth when I was barely five years of age. I am very aware I have the same qualities as my Great Grandmother. I have not had success in locating another of my same qualities near me. I ran across this article and was so pleased to see it. I am almost certain this encyclopedia would enhance my understanding of the medicinal knowledge I already possess. I would absolutely appreciate a copy of this post published. Thank you for giving me hope. I hope big pharma don't get there hands on this first......it will be destroyed....please get it out there as fast as possible. I would love to purchase one when available. Please let us know. Thank you. Please make sure this knowledge is published. Ensure it is backed up to survive several ways. Also to the people who say they want a copy - it is not for you. It is for their tribe. Maybe you could earn some of the knowledge by going and living with them? Have been to the Amazon and met with natives and observed a demonstration by the tribes "Healer", Would like very much to obtain a copy of this encyclopedia of native medicines, How do I get a copy? I think they might need to also patent these there or there may be a danger that they will get patented by big pharma and they will end up not being allowed to use their own traditional medicines!